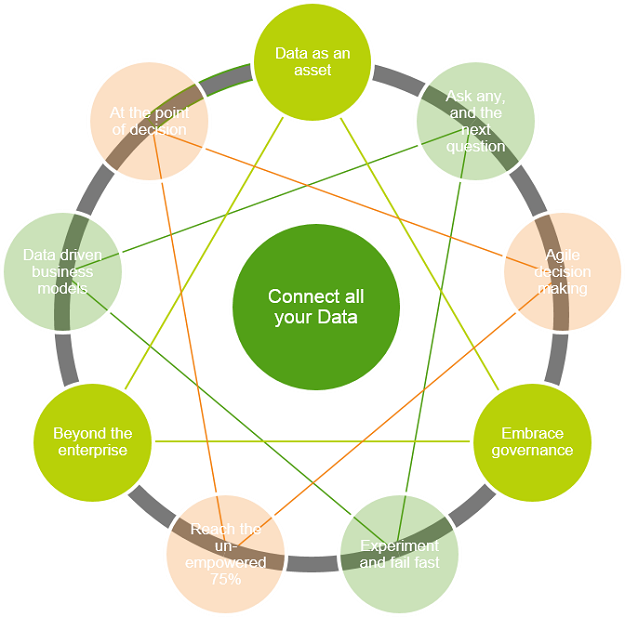 How can data empower your organization? Gain a little perspective. Data-driven businesses view data as an asset and inherently see value in it. They constantly look for new ways to exploit data for internal purposes, or even externally by monetizing data in new ways. 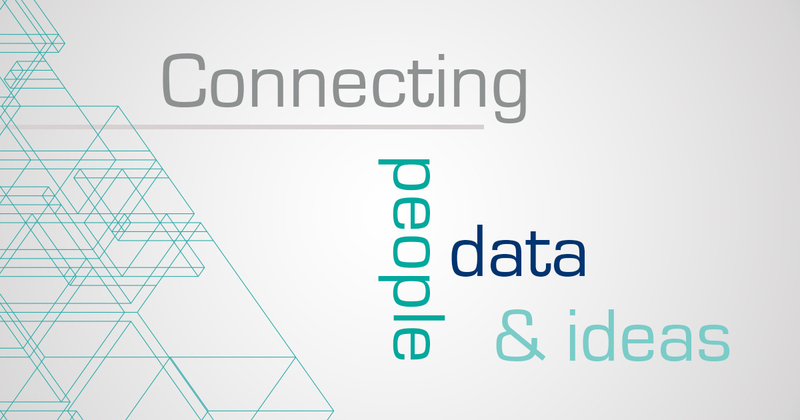 By sharing and creating an ecosystem around the way data is used, more insight, more action and therefore more value can be derived from it. In most organizations today, it is an accepted norm that the finance or treasury organization is responsible for managing an organization's cash. Or that human resources is responsible for developing intellectual capital. In fact this is so accepted as a principle that if a treasury organization simply put its cash in a “main street” bank account, the people responsible would probably be looking for their next role. So why is this not the same with data? It is in fact becoming so. Increasingly data-driven organizations put in place processes, solutions and even roles that help organizations see data as an asset and really make it work for them. 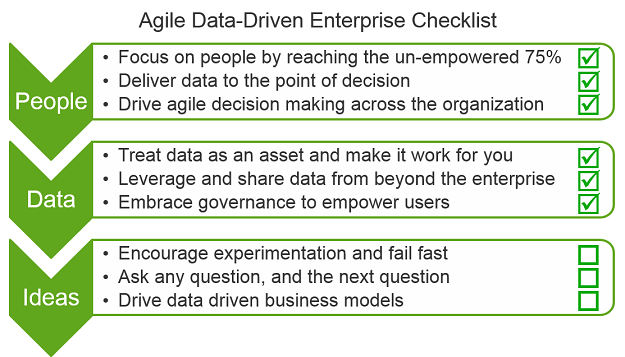 Data-driven enterprises recognize that decision making, the ability to drive innovation and drive business outcomes with data should not solely be the domain of its own people. They extend data and analysis beyond the edges of the enterprise and out to their ecosystem of partners, distributors, suppliers and customers. We increasingly see this in our personal lives with analytics on our utilities suppliers’ website about energy consumption, or on our bank and credit card accounts. Increasingly we see this in B2C relationships as well with suppliers being shown details on service level agreements and delivery rates. In the automotive industry, dealerships are increasingly given access to the manufacturers' analytics to see how they are performing irrespective of the dealers own performance management systems. Why? Well I guess Peter Drucker was right when he wrote: “What gets measured gets managed”! In a lot of conversations I have, certainly with business users, governance is often seen as an inhibitor to innovation and agility. But without it: organizations face unnecessary risks, something which IT typically recognizes. The result is often seen in conflict between the business and IT, but data-driven organizations embrace governance and seek solutions that provide agility along with strength and trust. Best-in-class organizations use governance to empower the right users to leverage the right trusted data in their decision making while also protecting data as an asset. Governance needs to focus less on power, or “gate-keeping”, and more on empowerment, and “shop keeping”. This will allow as much data, applications and analysis as possible to be opened up to the business community. As an example – a participant in our Forbes Insight study was a UK-based international transport group, who, by delving into data points as diverse as trip utilization, on-time performance and customer service surveys, was able to rapidly assess, adjust and optimize its menu of des­tinations, routes, timetables and fares. In the next blog post, we’ll look at what it means to bring all this together and connect ideas, plus how best-in-class organizations experiment and fail fast while driving new business models.